Late check out (after 10:00 AM and before 12:30 PM) may result in a fee. Please note that reservation packages will not be discounted for late arrivals or early departures. Staff gratuities/tips are not included in your rate. If you would like to leave a gratuity, please inform us at check out. For final payment, we gladly accept cash and all major credit cards. 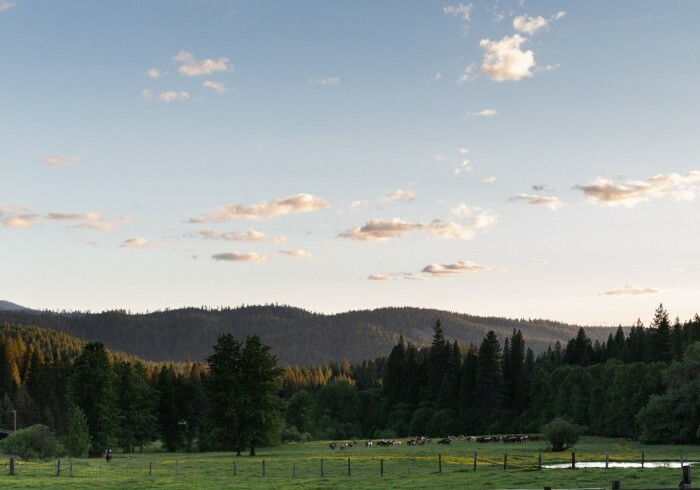 Greenhorn Ranch is a working dude ranch in Northern California’s Lost Sierra. Established in 1962, it hangs its hat on fostering families and new traditions. The long-time member of the Dude Ranch Association is driven to serve guests through Western hospitality, a warm welcome, real ranch living, and an unparalleled vacation experience. Catering to greenhorns from around the world, it guides families and vacationers on a genuine horse ranch experience with guided trail rides, horseback riding lessons, expert wranglers, stocked fishing ponds, and more. With 600 acres, more than 60-head horses trained for family riding, a staff of full-time wranglers and adventure seekers, Greenhorn Ranch is ready to be your guide. Cultivate your cowboy within. Learn more at www.GreenhornRanch.com.